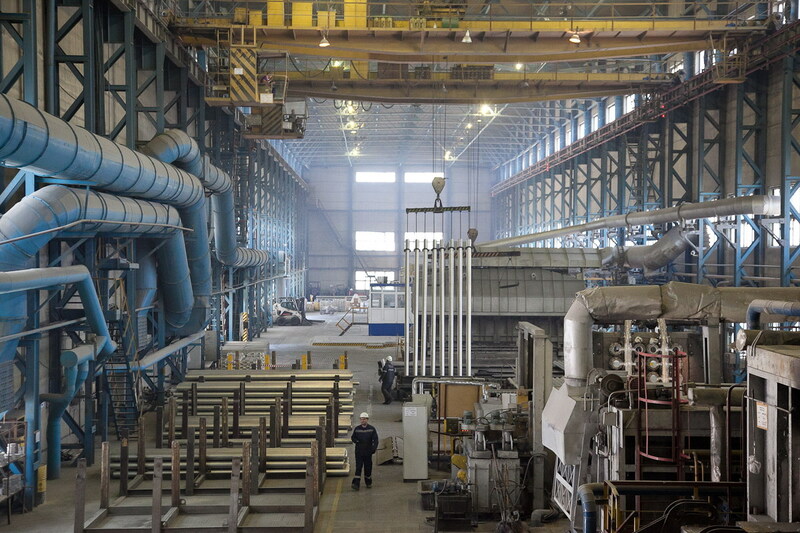 While tariffs have recently been instituted to stimulate the growth of the U.S. aluminum industry, some aluminum foundries are already thriving. Much of the struggle of aluminum manufacturers has been attributed to Chinese metal overcapacity. Despite an increasing amount of U.S. demand that has been met by foreign suppliers, some market segments, automotive in particular, have spurred domestic sales. This trend is expected to continue, owing to duties that have been imposed on a variety of aluminum products including hubs for bicycles, tanks, vats, reservoirs and, most notably, some engine components. With rapid urbanization driving increased demand for lightweight vehicles, sales of foundry casting products are projected to rise over the next few years. Die casting is an essential process in the production of components necessary for the improvement of fuel efficiency. Productivity in the die casting industry is surging due to automation. In addition to automotive applications, the use of these products has been rising in piping and machinery. Innovations in producing complex geometries, crafting fine details and lowering costs have created additional markets for die cast products. Of 349 aluminum foundry companies reporting data to IndustryNet, 14 have reported increases in employment and 11 a rise in sales during the past year. Foundries provide 18,774 jobs, a drop of 0.95 percent. Current average sales are $2.91 billion a decrease of 0.14 percent. 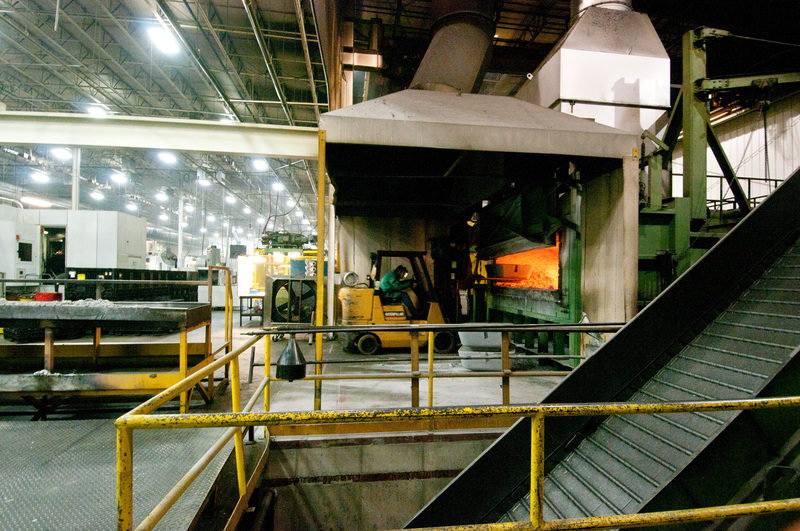 The Midwest is home to 169 firms, almost half of the businesses in the foundry sector. The South follows with 68 facilities. There are 58 plants in the West and 54 in the Northeast. The majority of companies reporting employment growth, 15 - or 65.22 percent - are located in the Midwest. The South is host to five, or 21.74 percent, of growing firms. Only two of the companies with increased workforces are in the Northeast, and one is in the West. While it is logical that the highest growth would take place in regions where most foundries make their homes, the proportion of successful companies in these areas is even higher than would be expected. Examining the geographical distribution of the businesses that form the most extensive customer base indicates why location is so essential. Of 45 car and truck assembly plants in the U.S., 29 are in the Midwest and 16 are in the South. Of specific interest are the two plants in Dearborn, Michigan, that produce the bodies and chassis of Ford F-150 trucks. A leading foundry, the innovative Arconic Technology Center, contributed to the development of this aluminum body vehicle. Cast aluminum products are also finding increasing application in the aerospace industry, as demand and production of airplanes rises. In the summer of 2015, Airbus began operations at a plant in Mobile, Alabama. The aircraft manufacturer noted that the proximity of critical suppliers was a factor in selecting a location for the facility. Employees at the installation will be building A-320 jets for sale to U.S. based airlines including American Airlines, United, JetBlue and Delta. Airbus is predicting that over the next 20 years there will be a demand for 4,700 aircraft similar to the A-320, which could be a considerable boon to the aluminum foundry sector. Modernization of trains may demand the use of lightweight aluminum castings. Weight reduction is crucial to the design of advanced tilted commuter trains known as "Pendolinotype." Demand for aluminum castings can also be expected to rise for use in waterway transportation. New all-aluminum marine crafts are lighter and faster. These boats weigh 15 to 20 percent less than steel or composite vessels. They can also reduce travel time by more than 50 percent. First response lifeboats employed by the Coast Guard are also constructed with a significant proportion of aluminum. The boating industry is predicting growth in sales. As the electric vehicle industry looks toward ever more efficient batteries, aluminum-air batteries offer the potential to increase driving range to up to 1,000 miles. Carmakers may utilize this technology to create cars with both purchase and life-cycle costs similar to fossil fuel powered vehicles. With rising costs for aluminum from foreign markets, domestic foundries will become increasingly attractive as suppliers to American industry. IndustryNet compiles and maintains updated information on aluminum foundries and related companies across the nation. Users of this online tool may conduct a free search by capabilities, location and certifications. Providing vital contant information on over 400,000 U.S. manufacturers, as well as 10,000+ suppliers of industrial products and services, IndustryNet can help you connect with your list of potential suppliers. Request a quote, download catalogs, connect on social media, view company videos and more.